The bottom line is not everyone is going to get why you're living a zero waste lifestyle. People aren't going to understand a lot of things you do. I freak out over penguins and jam out to musical theatre 24/7... not everyone understands and that's A-OK.
You're not going to please everyone, you have to do what's best for you. 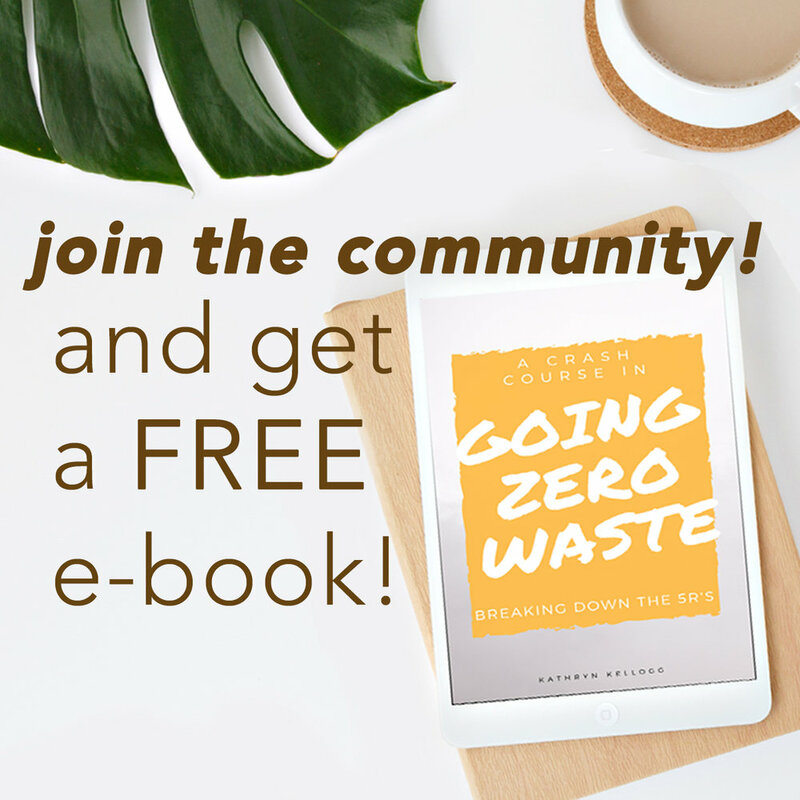 Check out these blog posts on going zero waste when a partner doesn't want to or even dating with lifestyle differences. We all have family members in our lives that we don't see eye to eye with. This could be about politics, religion, dietary choices, zero waste, opposing sports teams basically everything that makes Thanksgiving dinner awkward. A reader wrote in this past week, "I'm absolutely loving your blog and first off wanted to say thank you! It's really inspiring and amazing to have tools laid out for how I can cut back on my waste, so thank you for paving the way. I remember being taken aback and not really sure how to respond. I guess my question is, do you have any advice on how to talk to people so deeply entrenched in this mindset, and I wonder about this too. Even if I'm doing my part, will these companies continue to produce the same amount regardless?" When talking to friends and family members you have to remember *insert any lifestyle difference* is your choice and your choice alone. It's important to know your why and bring it back to a very, very personal reason. If you do something for someone or something else, for example, you're going zero waste for the earth or for the animals, you're coming off holier than thou in their eyes. You are better than them because you're selfless and their inaction is selfish. In order to break that first barrier, you have to make it about you. Make it selfish. I went zero waste for my health. I went zero waste to save money for myself. Another example would be biking to work to reduce emissions for the environment vs. biking to work to improve your overall well-being. People are much less likely to put up a stink if you're being "selfish" or doing something for your own health. I'm not saying it's logical, it's just an easy way to level the field when it comes to talking to people that are difficult to talk to. Other key points for pleasant gatherings is to avoid these topics and focus on the things you do have in common. Most of the time we can be polite for one afternoon. As far as whether or not one person will make a difference, I can't help but think of this quote from Margaret Mead. "Never doubt that a small group of thoughtful, committed citizens can change the world; indeed, it's the only thing that ever has." You can really make your cousin angry when you whip this quote out - selfless and self-righteous all at the same time. But, to get to the bottom of the question will one person make a difference. Will just your actions make a difference.... in the grand scheme of things will the actions of one person make a difference? No, probably not, but it's not just about your physical actions. It's about awareness. Your actions inspire others. Their actions inspire even more people, and before you know it there are hundreds and thousands of people who can change the world because of the awareness through your actions. Family dinner at a local restaurant in Texas. Kathryn (KK) and conservative cousin (CC), in a particularly cynical mood) meet after several years. KK: Have you heard of supply in demand? It's a very simple principle, where demand goes down and things have to change. They have to start disclosing their ingredients, move to safer product, or change up their packaging. Plus, I'm not the only one moving away from Tampons, lots of people are. But, even if I was the only person, it really doesn't matter because it's better for my health, and I'm saving a ton of money with my diva cup. I just had to bring it back to the musical theatre thing. After both of those interactions, my next step would be to disengage and talk to someone else. 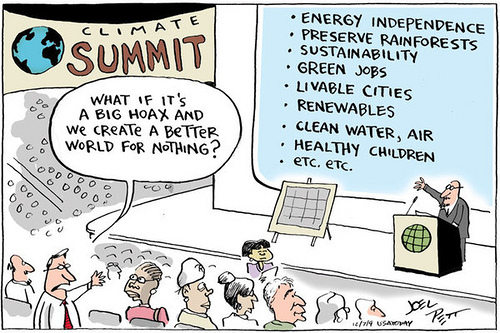 And, to leave you with this... is it ever a bad idea to make the world a better place? I have been absolutely loving married life. I get goofy excited about my husband when I think about him. He's so kind and handsome and he snuck out of the house before I woke up this morning to bring me a veggie breakfast burrito without any packaging. It's funny because I get all sorts of messages when it comes to love, romance, and my husband. I get angry emails because how could I ever marry/date/interact with another person who eats meat!? I get sad emails about the inability to make any zero waste changes because their partner isn't on board. I get emails wanting to know the black magic spell I used to conjure up the perfect supportive man. Justin wasn't always on board with zero waste. Can you imagine, just out of the blue your partner comes home and says, "Honey, I've decided I want to stop making trash." Kinda weird right? Like where is this normal, sane person I was dating, and what Koolaid have they been drinking? It takes time for people to adjust. You didn't make the decision to go zero waste in one moment. You probably at least thought about it. It took a couple of articles or learning facts about climate change, health benefits, cost comparisons, proximity to package free goods, etc. before you decided to go all in. For anyone struggling with zero waste and a partner, I thought it would be helpful to get a different perspective. I interviewed Justin. He was a littler nervous about the whole thing... he's not really a spotlight kinda guy. So, give him a little love. what did you think when I first told you I wanted to go zero waste? Well, to be honest, I was surprised. It came out of nowhere really. You never really talked about the environment or being vegetarian prior to that. how was living with a zero waster in the beginning? It was a learning experience for sure and kind of annoying at times. I just didn't understand the point of donating a perfectly good reusable plastic water bottle to upgrade to a stainless steel one. Now, I understand more about the problem with plastic from both the health side and environmental side. how far into zero waste living did you start warming up to the idea? I warmed up to the idea fairly quickly mainly because I grew up in Maine which is a pretty environmentally conscious state. We don't really have litter and have recycling/compost services. I'm not the biggest fan of plastic bags and had already been bringing my own bags to the grocery store before I met you. Also, the reusable water bottle culture is strong where I'm from everyone carried a Nalgene instead of a Klean Kanteen. do you consider yourself to be zero waste? I'm not 100%. I still have impulsive urges for packaged snacks mostly. I try to be more aware of what I buy. I take the snack, the packaging etc all into consideration. I look for brands that have recyclable packaging or made from recycled content. how do you feel being married to a zero waster for life!? / how’s living with a zero waster now? I love it! It all makes a lot of sense to me, and I'm not sure why more people don't embrace these practices. Simple things like bringing your own container for takeout or using a bamboo toothbrush are so easy! To be honest, I don't really notice. I mean we've been doing this for a few years now so it's just life. what zero waste things do you participate or not participate in and why? I do most things zero waste. I bring my own water bottle with me, and I always carry a handkerchief. I bring my own bags shopping which is usually just my backpack, and I try to be aware of packaging in general. I still buy regular toothpaste and deodorant because it's what I'm comfortable with. I use Toms of Maine because I'm from Maine and I like that we can send the products back through Terracycle. what’s your favorite thing about living zero waste? Hands down the bidet attachment. Can't live without. what’s been your least favorite thing about living zero waste? how much zero wasting would you do if I weren’t a part of your life? I don't think I create a lot of trash, but I did have a problem with letting go of things. You've really helped me see value in minimizing my possessions. Having fewer things has helped me focus more time and energy on the things I really love. have you ever felt pressured to go zero waste? I haven't felt pressured I just "saw the light" I guess. Once you take a look at packaging and see all the plastic around you, it just makes sense to make more of an effort. This is what I try and tell people all of the time. It just makes sense. It's a whole bunch of little tiny changes that add up to massive impact. I also love where he says, " I mean we've been doing this for a few years now so it's just life." I always try to explain this to people. I don't even feel like my life is different at all! I honestly can't even tell. I am normal. I do everything everyone else does, just a little differently. The key to helping your partner understand this is time, patience, and kindness. You have to lead by example. Things might change overnight for your partner or they might not! And, that's OK. Justin and I have probably some of the biggest most "upsetting" (to some people) lifestyle differences. We consume differently; we eat differently; we have different religions. But, we still love each other so much! Why? Because we respect each other. I respect his choices even if they don't align 100% with mine. Without respect, this whole thing unravels. The moment you believe your partner is not "kind," "compassionate," "smart," "capable," you fill in the blank "________" because of their beliefs, you've lost. I have never once doubted Justin's intentions. Just because we don't see eye to eye on everything doesn't make him less of a compassionate person towards the earth. There are multiple ways to do things, and somewhere out there lies a compromise. Instead of forcing him and nagging him to join me, I just did my thing. If he wanted to join, great! If he didn't, oh well! My decisions are MY decisions. His decisions are NOT my decisions. I like the toothpaste example. He doesn't like toothpowder. That's fine. So, now let's ask some questions, what toothpaste do you like? (He has always used Tom's of Maine, but let's say he didn't.) He likes crest and it has microbeads! Yikes! I would explain to him the problem with microbeads and ask if he's thought of switching to a type that doesn't have microbeads. I would present all the facts about microbeads. Knowing this and alllllllllllll of that information, the answer will most likely be, yeah, I can find a different type of toothpaste. Compromise. Another example, poptarts. Justin LOVES poptarts. Every couple of months, he'll buy a box of poptarts for comparison we used to buy two boxes of poptarts a week. I personally think me asking him to change this habit would be unreasonable. But, he respects my deicison for less packaging and buys them less often. Compromise. You can only control you. You should only worry about the things in your control. Take some time and focus on yourself. Be the best human you can be! If your heart is in the right place, I promise you, after you've been authentically living your lifestyle change, you'll start to see changes in those around you. It just takes time. And, of course, most importantly always remember to be kind. 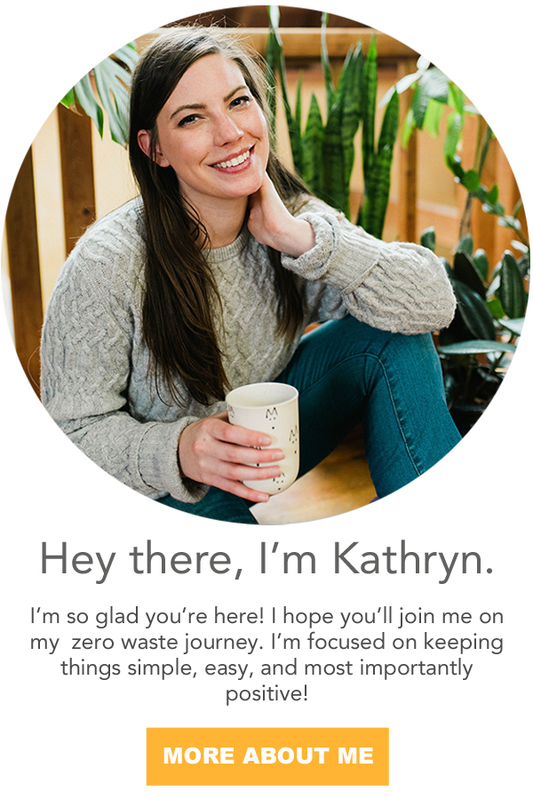 I would love to hear stories about you and your partners on the zero waste journey. How has lifestyle differences impacted your relationships?